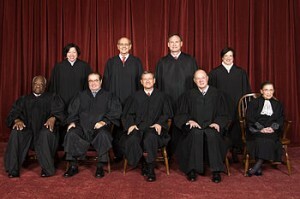 UPDATE: Supreme Court Opinion now posted online. UPDATE: Lyle Dennison of SCOTUSBlog also has a great primer for reading the opinion here. UPDATE: Lyle Dennison’s First Blog Post on the Decision is up. Really can’t give enough credit to SCOTUSBlog for how well they’ve covered it. UPDATE: Also at SCOTUSBlog, Kevin Russell explains that States now have a choice as to whether they will join the Medicaid Expansion in the ACA. Readers, as providers, managers, employees what are your reactions? This stinks. What if a person can not afford HealthCare? Also what if the individual is covered under a spouse, do they still have to purchase their own healthcare? Where does the government get off telling us what to do. We are no longer the United States of America, we are the United Soviet States of America.